Five years ago, the number of cloud technology providers started multiplying and major ERP technology companies like SAP began acquiring cloud-based companies to maintain their competitive edge. Since then, we’ve progressed from “journey to the cloud” to a term called “digital transformation.” But what does this all really mean? And are companies really making the journey to the cloud and/or going through a digital transformation? 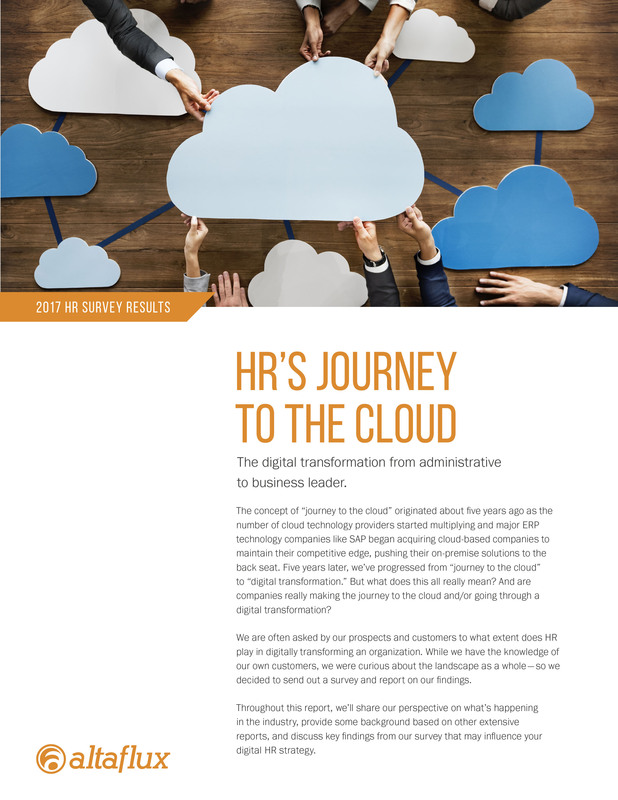 We are often asked by our prospects and customers to what extent HR plays in digitally transforming an organization. While we have the knowledge of our own customers, we were curious about the landscape as a whole — so we decided to send out a survey and report on our findings. HR's top focus in 2017... and much more!